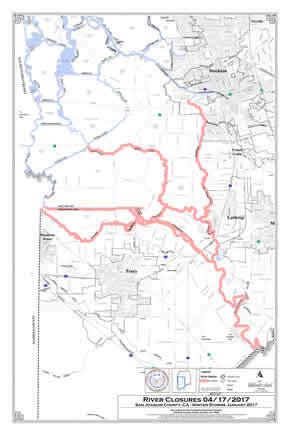 As of this notice all rivers and other waterways highlighted in pink on the attached map(s) remain closed to recreational boating traffic until further notice by the San Joaquin County Office of Emergency Services. 1)	The closure described above, as shown on the attached map, does not apply to emergency vessels, commercial vessels, or vessels operating to perform maintenance, inspection and/or repair to Delta levees as approved by the San Joaquin County Office of Emergency Services. a. Why are so many Rivers and Sloughs closed? i. The release of water up river combined with heavy rains has caused the Rivers and Sloughs in the south Delta to reach extremely high levels on surrounding levees. Wakes from boats at extreme high tides, could pose a risk to levee stability in some areas. b. How long will the closures be in place? i. The closures are dependent on water levels in the Delta system which fluctuate with rain events and possibly again in spring or early summer as the snow melts in the surrounding mountains. Closures are lifted or modified by the San Joaquin County, Office of Emergency Services. Previous restrictions and closures since January may be reinstituted, should conditions warrant. c.	What happens if I boat on a closed river or slough i. County Sheriff Marine Patrol divisions and the United Sates Coast Guard will be enforcing the closures. d.	Where is recreational boating allowed while the closures are in effect? i. Unless conditions worsen, normal recreational boating is now permitted in any area not described above as closed or highlighted in pink on the attached map. e.	Will Bridge operator�s open bridges on closed Rivers and Sloughs? i. Only for emergency boat traffic when the closures are in place. Bridges not in the closed area will open per their normal schedules. 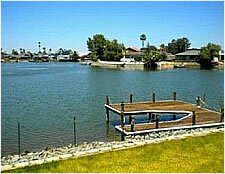 Discovery Bay's levee system, like the community, is one-of-a-kind. Discovery Bay is the first Delta community to have a lighthouse. 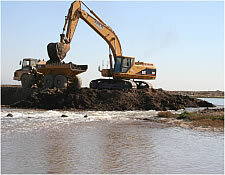 For over 100 years, our district has maintained and improved our levees. Our levees meet the federal requirement for 100-year flood protection. Our plan is to provide 200-year flood protection. We'd like to think "it can't happen here," but those living on or near levees will always face some risk. 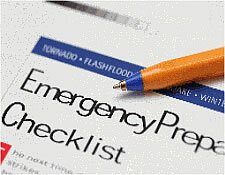 If disaster strikes, are you ready? Willow Lake will not be lowered this year due to having it down for 6 months for the aquatic weed treatment last year. 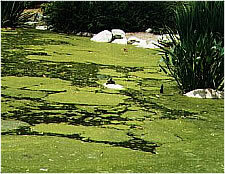 Although aquatic plants and weeds are not new to Discovery Bay, they are increasingly becoming a bigger problem. Reclamation District 800 is responsible for the operation and maintenance of nearly 19 miles of levees protecting 7,000 acres of agricultural, urban, commercial and industrial land in Byron Tract. You'll find us in Contra Costa County, approximately 20 miles west of Stockton and 60 miles east of San Francisco. The land is bordered by the Italian Slough on the south, Old River on the east and Indian Slough on the north. Portions of Highway 4 are within our boundaries. 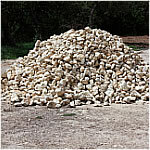 Discovery Bay residents that are on deep water or Willow Lake are eligible to receive free rock for the slopes at the rear of their property. The rock is free, it's the homeowners' job to place it or to have it placed, the District will drop the rock in the driveway.